This home has had the same owner for 68 years and has never been on the market before. 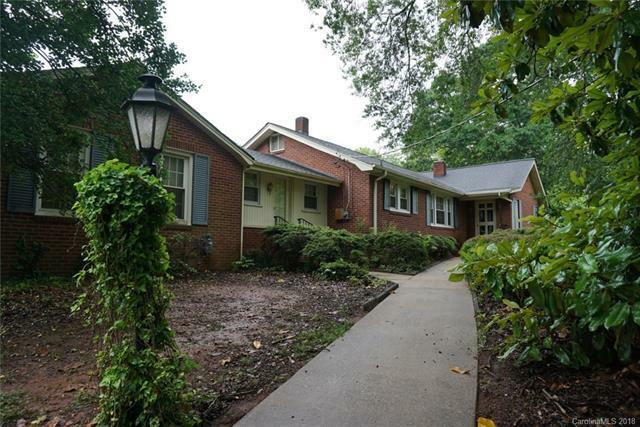 Very well built, this ranch brick has strong bones and lots of square footage. It is an excellent location in a desired Forest City neighborhood with 2.75 total acres. Most of the floors are beautiful hardwood. The home has a separate carport, 3 bedrooms, 2 baths, large kitchen with loads of cabinets, dining area with shelving, foyer leading into a spacious living area with a fireplace, tile indoor porch with a fireplace, large utility room, and plenty of storage. There's an abundance of parking and the back entrance has a handicap ramp to the back deck. With updates this could be a wonderful family home. Convenient to Hwy 74 for easy access to Charlotte plus minutes from the Tryon Int. Equestrian Center. Sold by Coldwell Banker Mountain View.